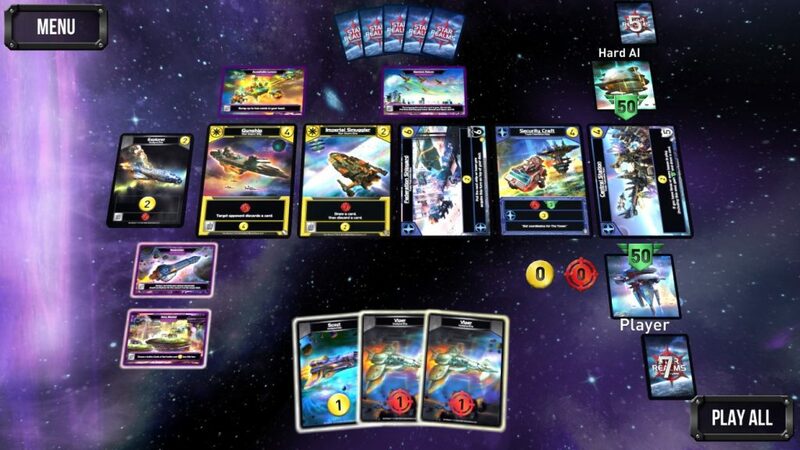 Star Realms Cosmic Gambit Digital Expansion with Favorite Opponents List!!! 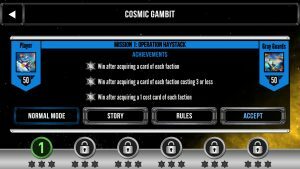 The Cosmic Gambit expansion is out! Download it here. We aren’t sure what is more exciting about this release, all of the cool new features or all of the amazing cards you will be adding to your play! For new cards, you will find plenty of new gambits and all of the Year Two Promo cards in this expansion. One of our fans, Matt Dyal, wrote a blogpost that talks about all of the cool stuff in this new expansion. Check it out here. As usual, we included lots of new cards and a few other goodies for you. Drum roll, please. 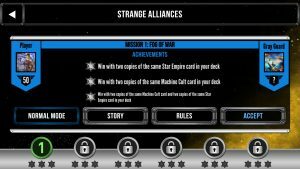 Star Realms now has a favorites list!!! You can now add your favorite opponents, friends, frenemies, and family, to your favorites list to make it easy to challenge them anytime. Do you have what it takes to successfully complete Operation Haystack and to make Strange Alliances? Check out the two new awesome Campaign Chapters! New Expansion selection feature for VS AI, Online Play, Pass & Play. You can now define which sets/expansions are required and which are optional for a match! 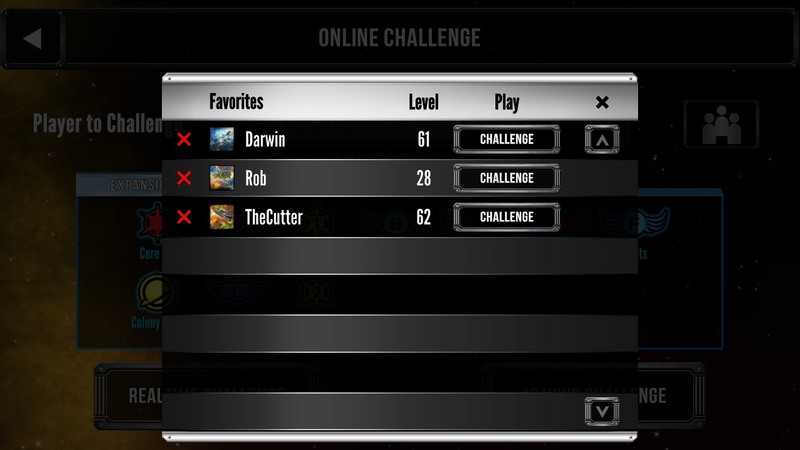 You can also now do real-time challenges! 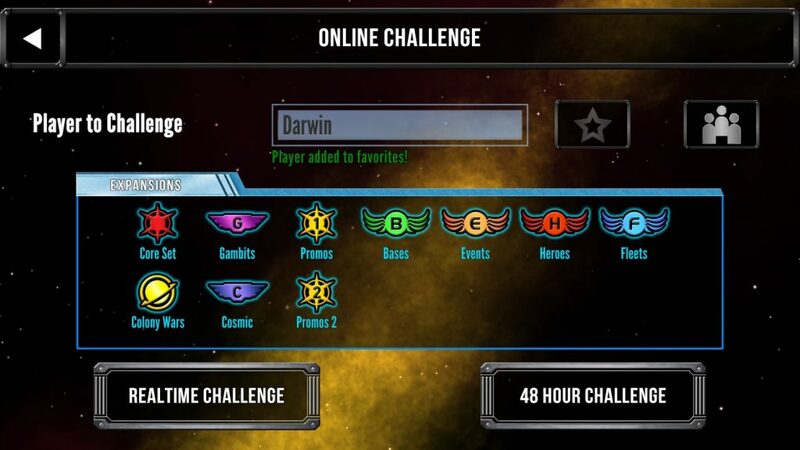 Take a look at your online play and challenge screens. It’s all available to download for just $3.99 here! Have fun with it! See you online!